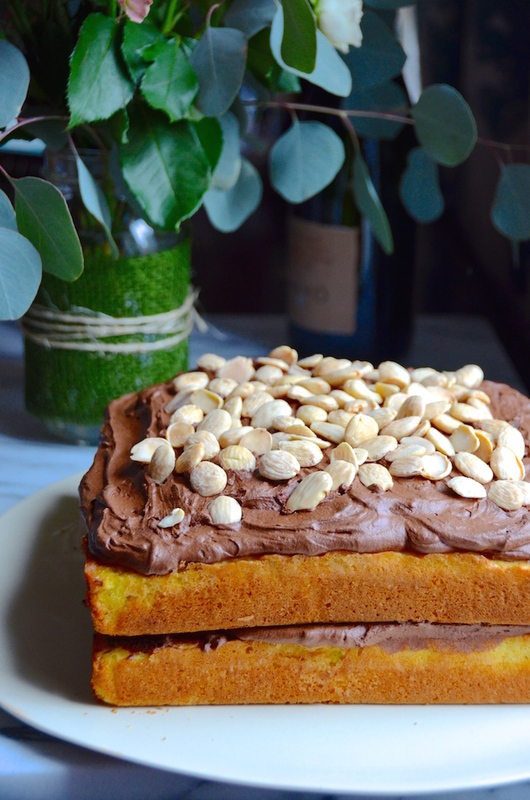 What is it about yellow cake with chocolate frosting that just makes it so damn perfect? Growing up, my mom was never much of a baker. There were a few memorable cakes that she made, but for the most part, I knew that if I wanted cake, I would have to bake it myself. My first few cakes were all from box mixes. I'd add the oil and eggs and water that the recipe required, then marvel at the perfect springy golden goodness that came out of the oven. The frosting was packaged, too. Swirls of perfectly soft vanilla or chocolate frosting straight from the can. There was always enough leftover to eat right off the spoon. I tried it once again recently out of nostalgia, and was a bit horrified by the weird waxy taste. Blech. But the memories are fortunately still sweet! 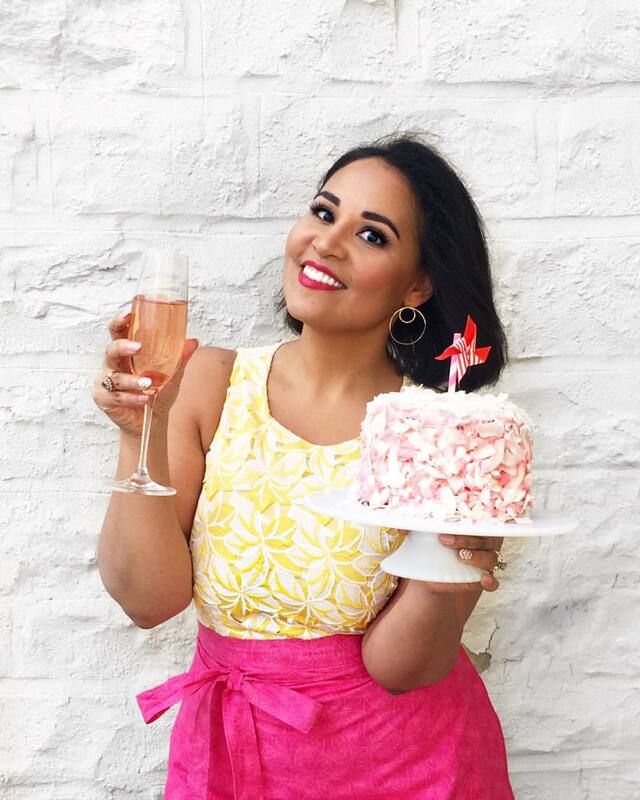 A couple weeks ago, a friend reached out asking if I had a go-to yellow cake recipe. I shared it, and then found myself thinking about yellow cake constantly. 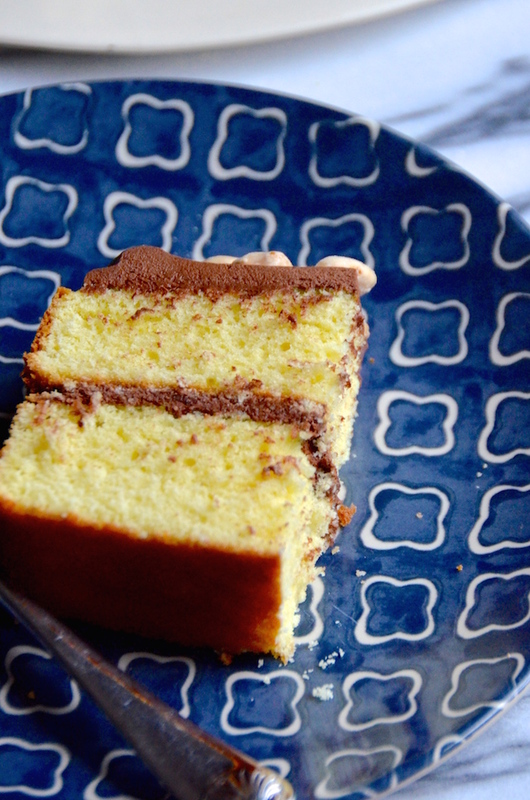 This recipe produces a pretty perfect yellow cake. It's like the perfect grown-up version of those classic box mix cakes. Perfect for a birthday party (or if you're just feeling a bit nostalgic). It's moist, springy, not overly dense, but not too light either. 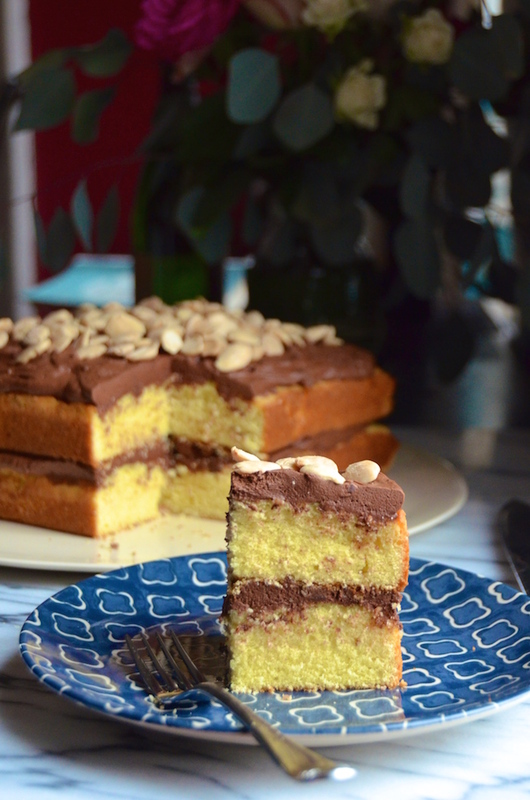 Flavored with pure almond extract I like it layered with a whipped chocolate ganache frosting and topped with a few generous handfuls of salted marcona almonds. These fancy almonds taste like a marriage between hazelnuts and almonds, and work beautifully with chocolate. (Especially if you're into that salty-sweet thing, like I am.) If you can't find them, regular blanched roasted salted almonds or hazelnuts will work, too. If you want to frost it properly, have at it. Me? I'm cool with just layering mounds of frosting and cake and then digging in. BTW, upon seeing my "rustic" cake, Eugene was like "Is that cake finished? Because it looks kind of...unfinished..."
And I was like "Did you finish cleaning up the table after dinner? Because it looks kind of...unfinished..."
We decided that both the cake and dinner table were just fine as they were. Preheat oven to 350 degrees. Grease and line two 9” square cake pans (or two 10” round cake pans or 3 8” round cake pans) with parchment paper. Stir in the vanilla and almond extract, and the milk. Make the frosting while the cake bakes: Heat heavy cream in a medium, heavy-bottom saucepan just until bubbles start to form. Remove from heat and add the chocolate chips, salt, and espresso. Whisk continuously until melted and smooth. Pour into the base of a mixer (or a large bowl) and let cool completely. Once cool, use the mixer with a whisk attachment and beat until light, fluffy, and doubled in volume. To assemble cake. Place one layer on a serving dish. Top with half the ganache, then the second cake layer. 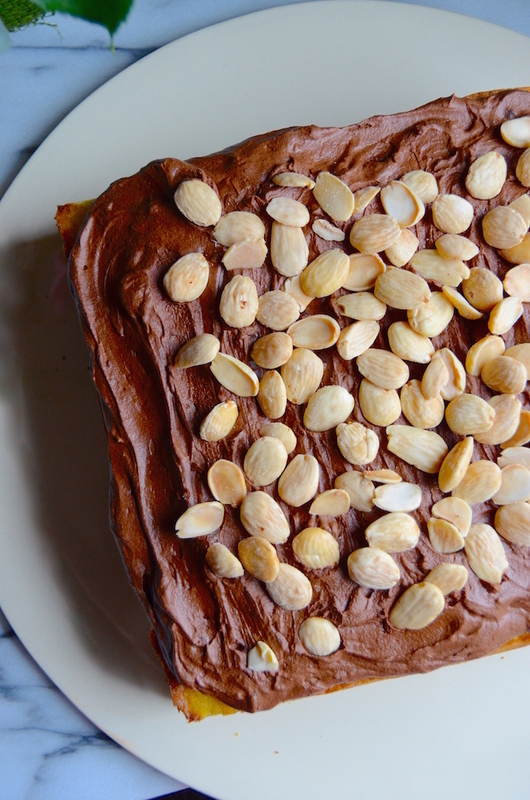 Top with the rest of the ganache, then garnish with salted marcona almonds.